DIRECTIONS FOR USING FORMS: Open form, click 'save as', and save form to your computer or flashdrive. After filling in the form, click 'save as' again. Now you can send this form as an attachment through email. There are a number of forms that might require information from our students during a course of study. Many of the forms will be listed on the bottom of this page under the Related Downloads section. 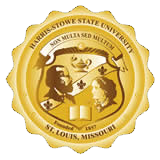 Questions or concerns may be directed to the College of Education at Harris-Stowe State University by calling (314) 340-3661.